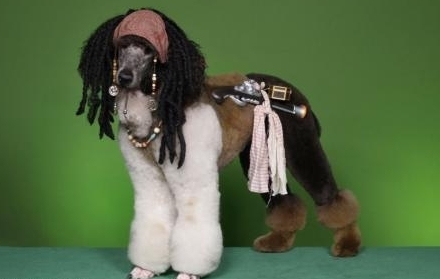 Once upon a time, there was a pirate dog named Joke Scarecrow. When he was a puppy he wanted to be a pirate. Now the dream has come true. He is collecting dogs and cats to go out to the sea. He collects five dogs and two cats. Nana is a navigation officer. Josh is good at shooting guns. Jack is a swordsman. Kevin is a chef but he is also good at kicking enemies. Christina is a cat. She is good at stealing treasure. Another cat is Alex. He is a spy. Fang is an amazing Macgyver. And last, there is Joke Scarecrow. He is the captain of this pirate ship. They are the Pirates of the Carrot-bean.